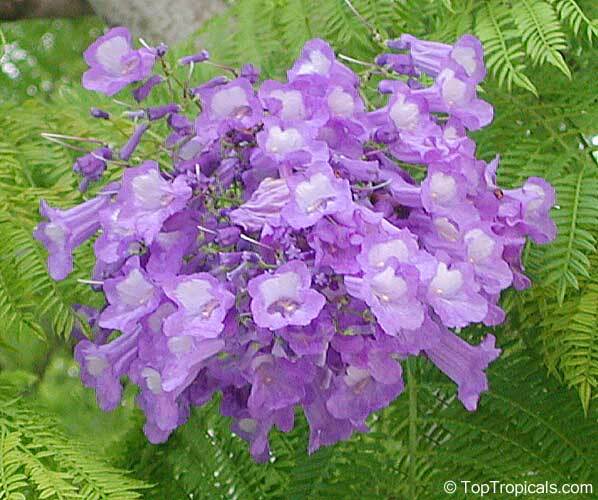 Origin: Central America and the W. Indies. 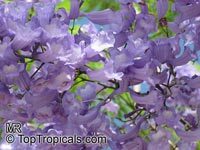 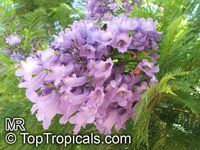 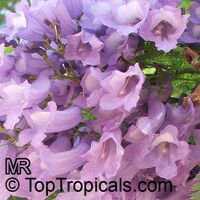 Jacarandas are grown widely in warm parts of the world and in greenhouses for their showy blue or violet flowers and attractive, oppositely paired, compound leaves. 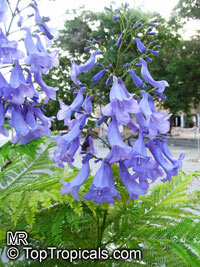 The genus includes about 50 species. 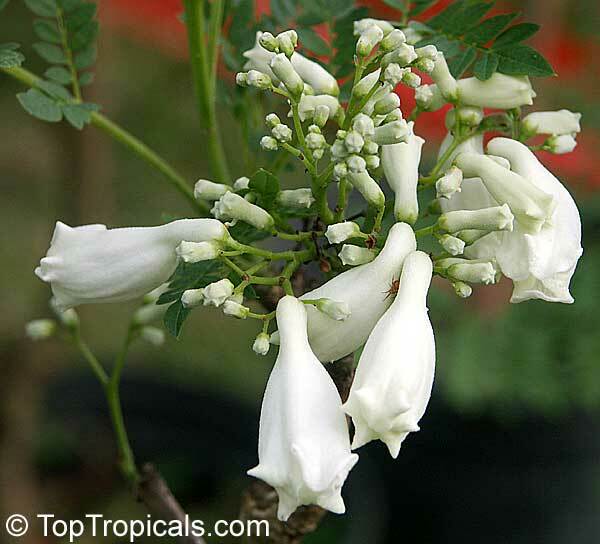 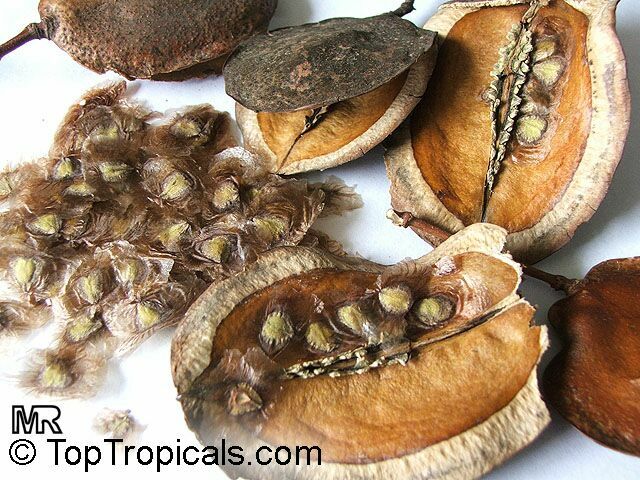 The name is also applied to several tree species of the genera Machaerium and Dalbergia in the pea family (legume), the sources of commercial rosewood. 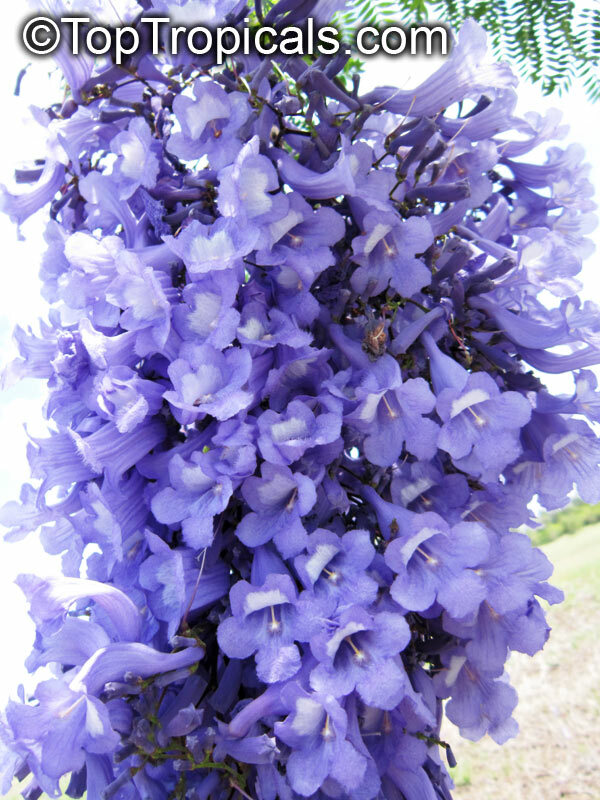 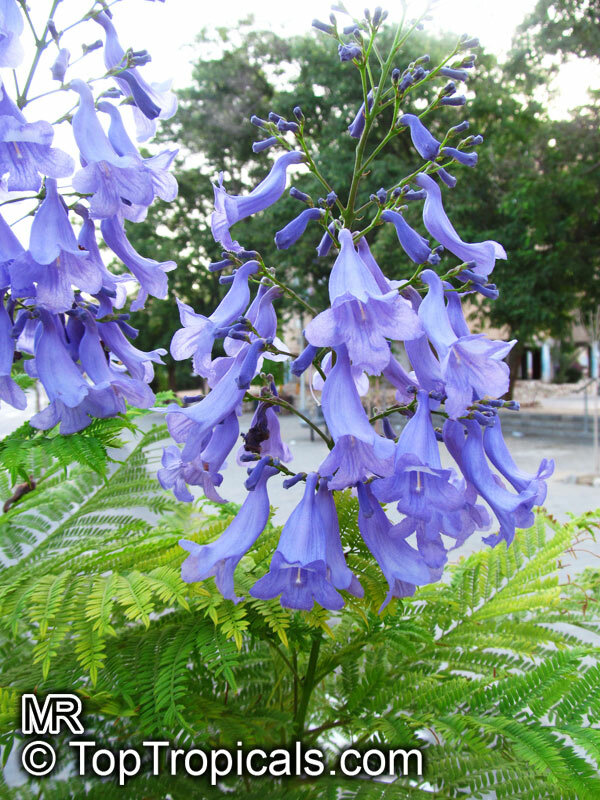 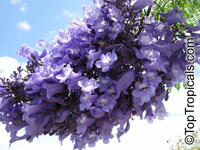 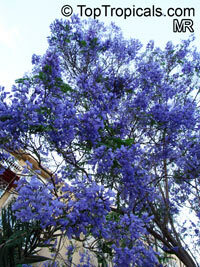 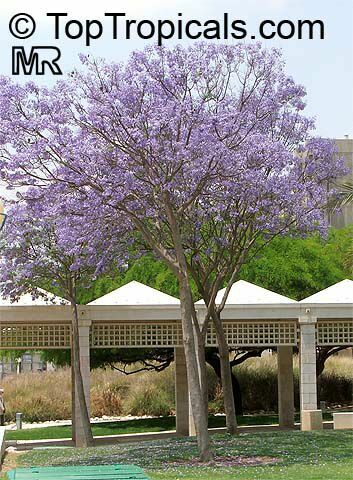 The blue flowers of the Jacaranda tree adorn the streets of many African cities, such as: Pretoria – the Jacaranda City. Jacaranda mimosifolia are spectacular late spring flowering trees, which create washes of purple through many towns and suburbs each spring. 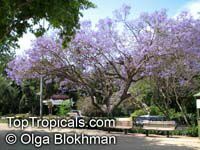 In particular mass plantings of jacarandas along the street create a river of purple as well as a carpet underneath the trees when the flowers begin to fall. 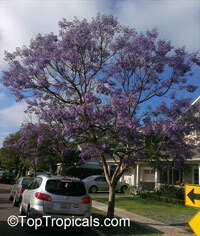 Jacarandas are large trees which grow to 30ft tall and up to 30ft wide with a low, broad branching habit. 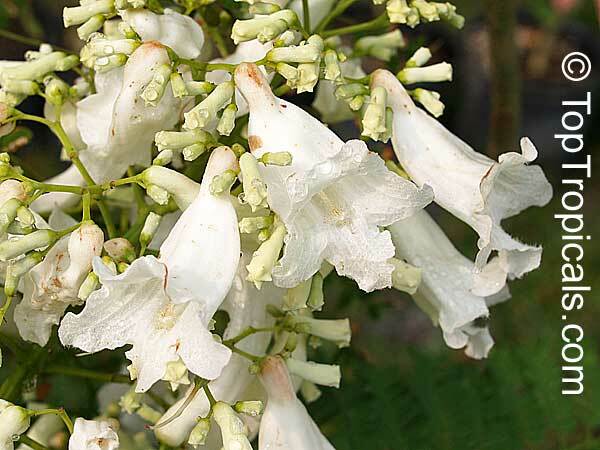 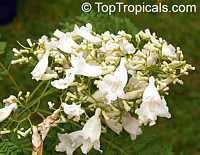 As well as the commonly seen purple, there are also white-flowering and variegated foliage varieties. 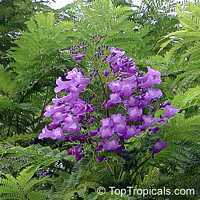 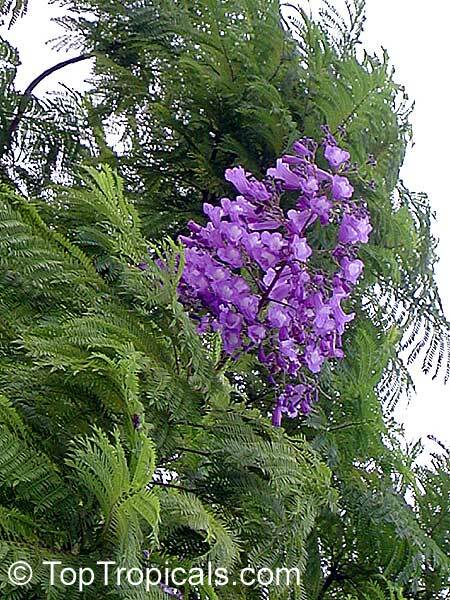 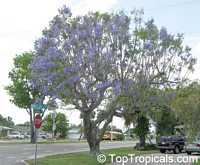 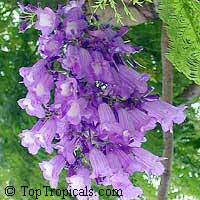 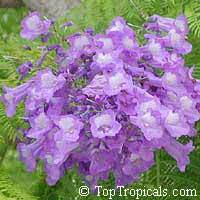 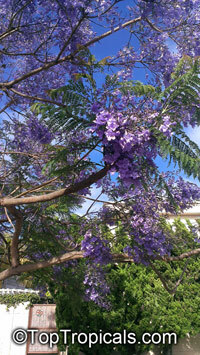 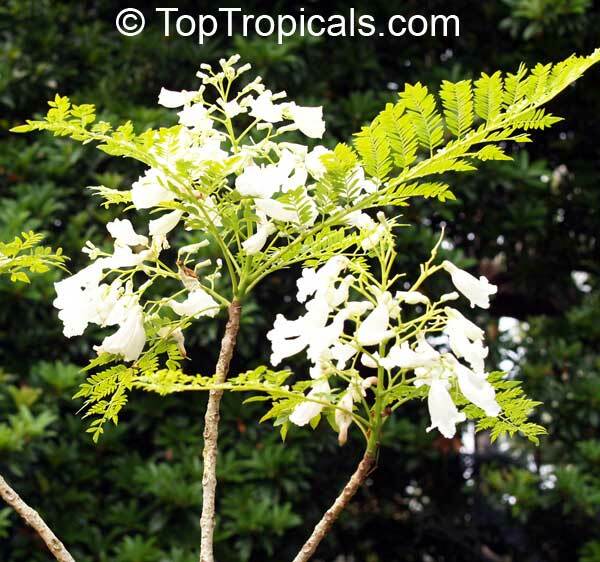 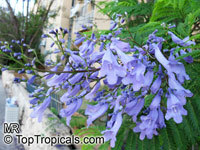 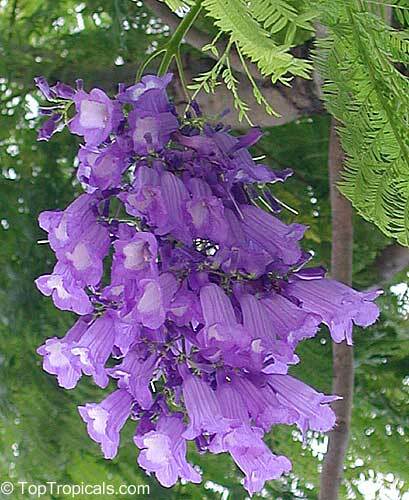 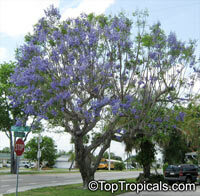 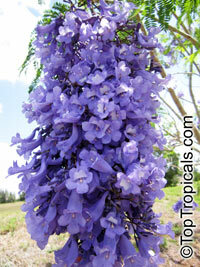 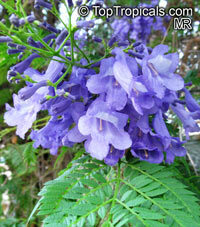 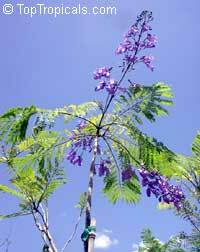 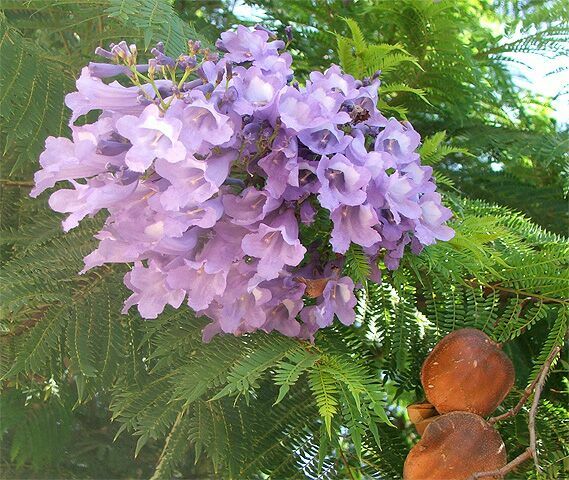 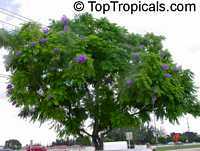 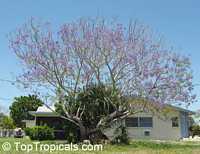 See Article about Jacaranda. 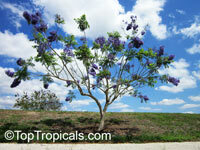 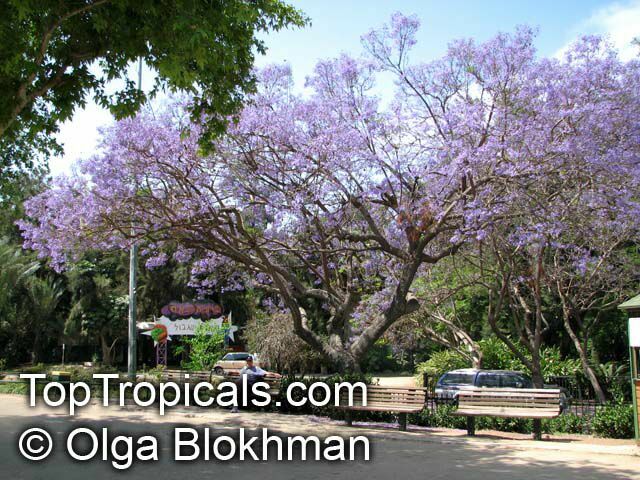 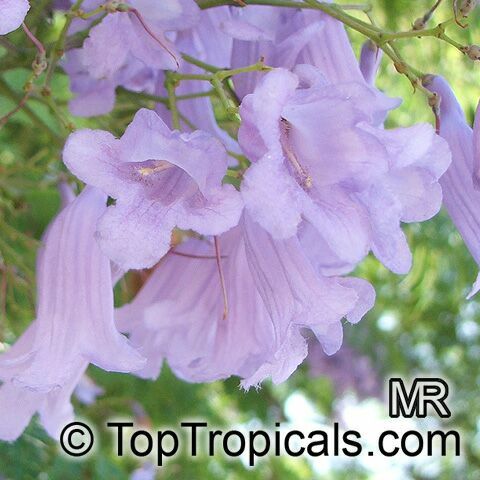 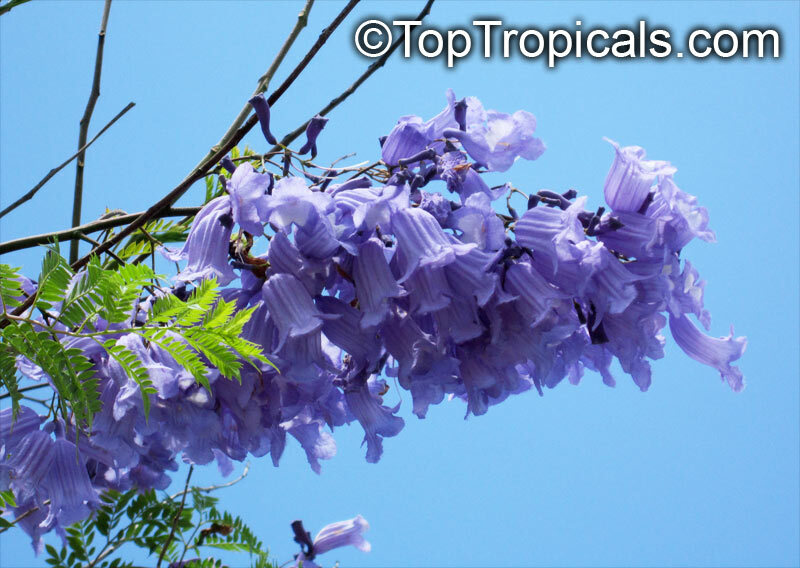 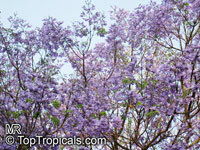 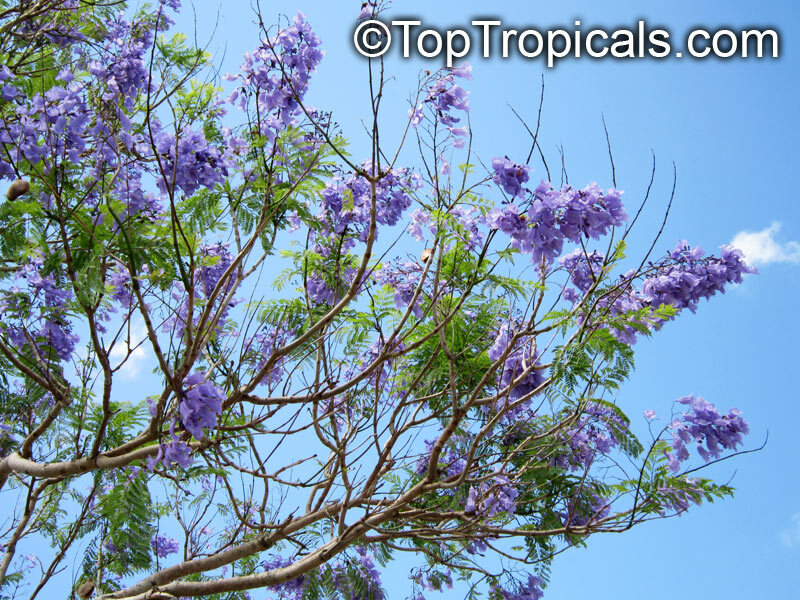 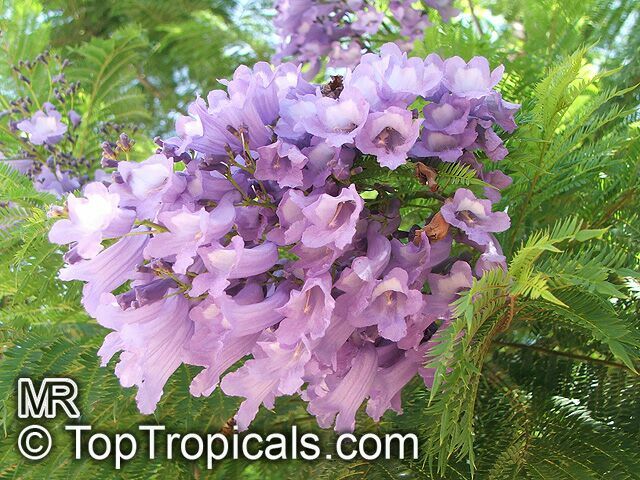 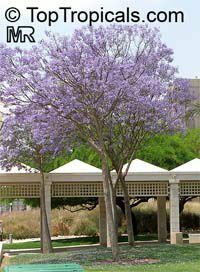 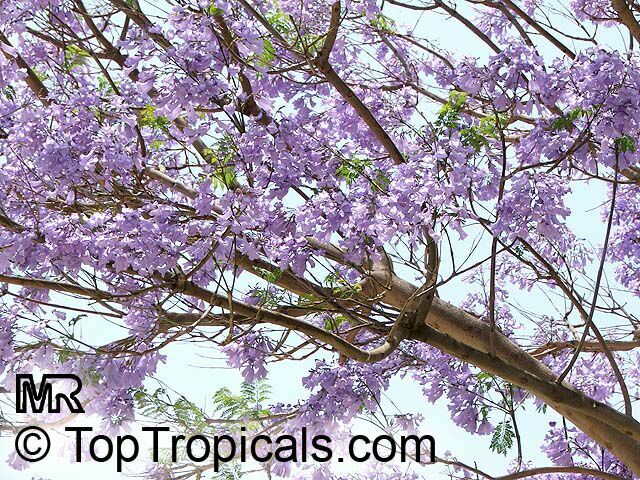 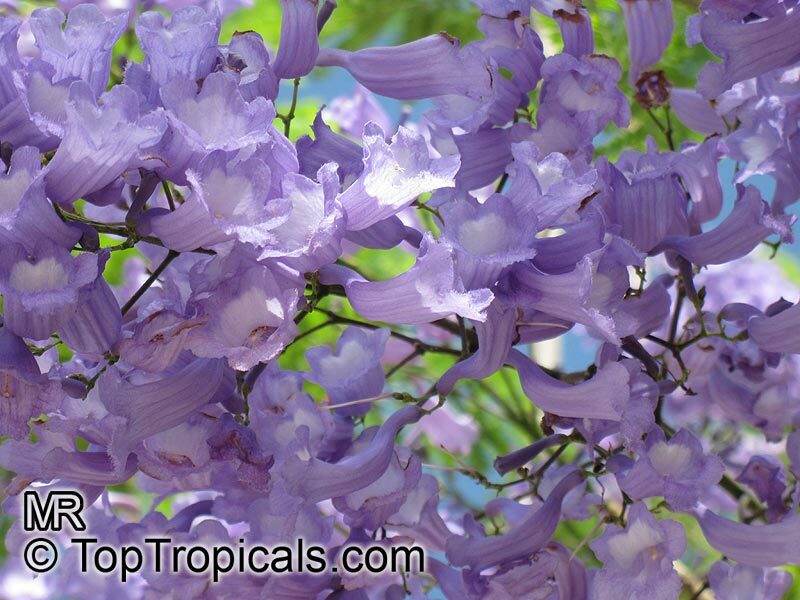 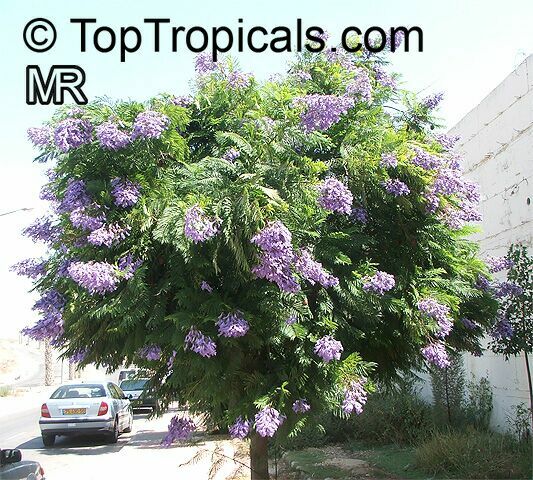 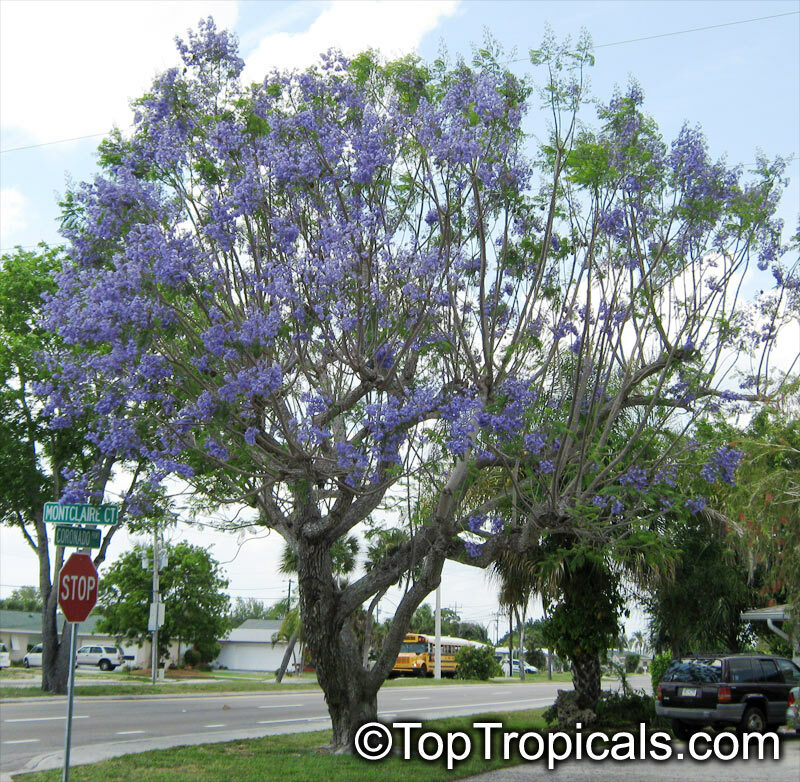 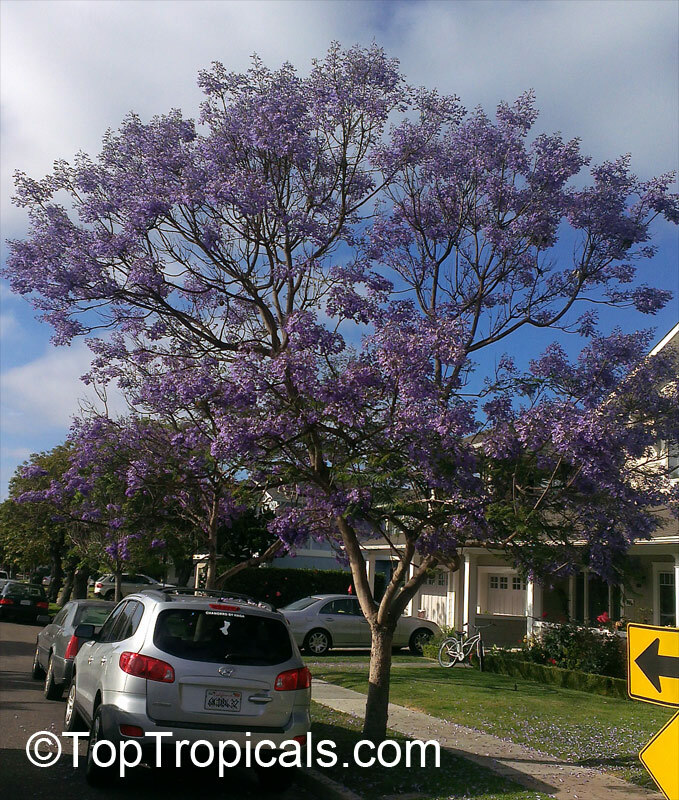 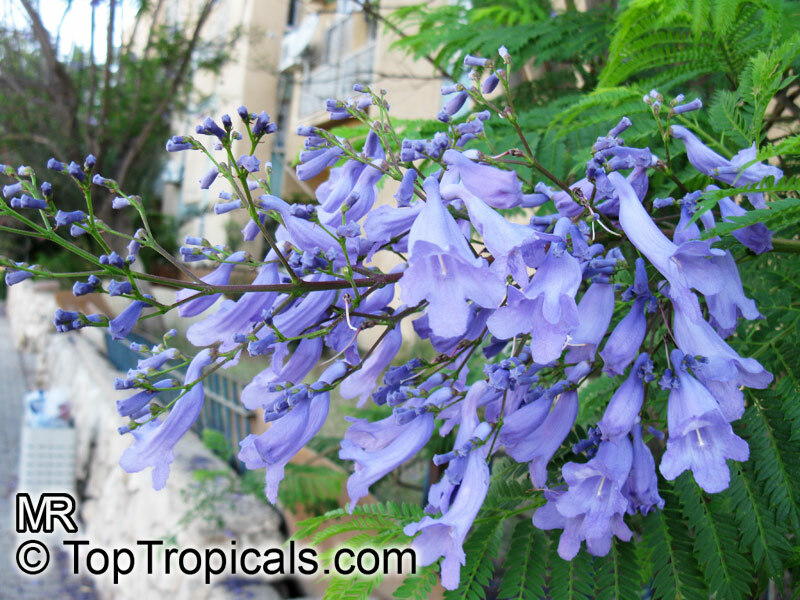 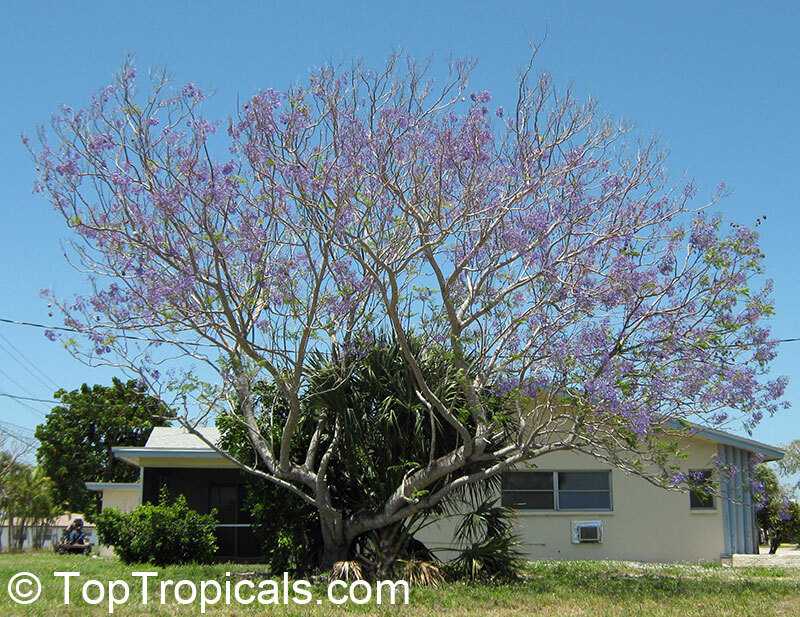 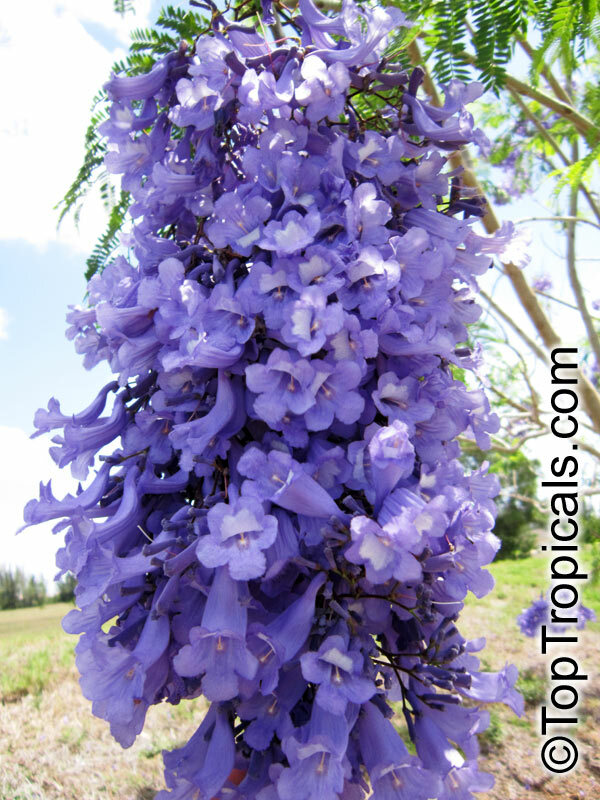 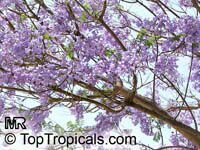 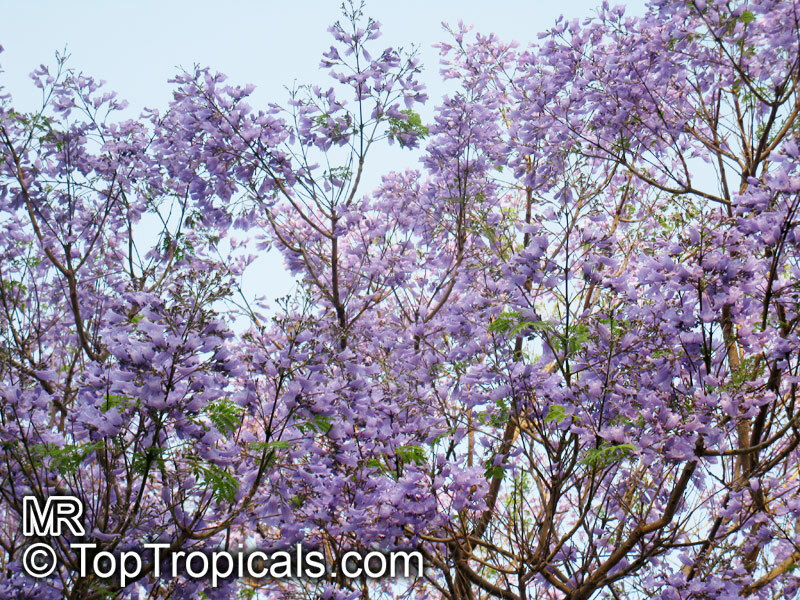 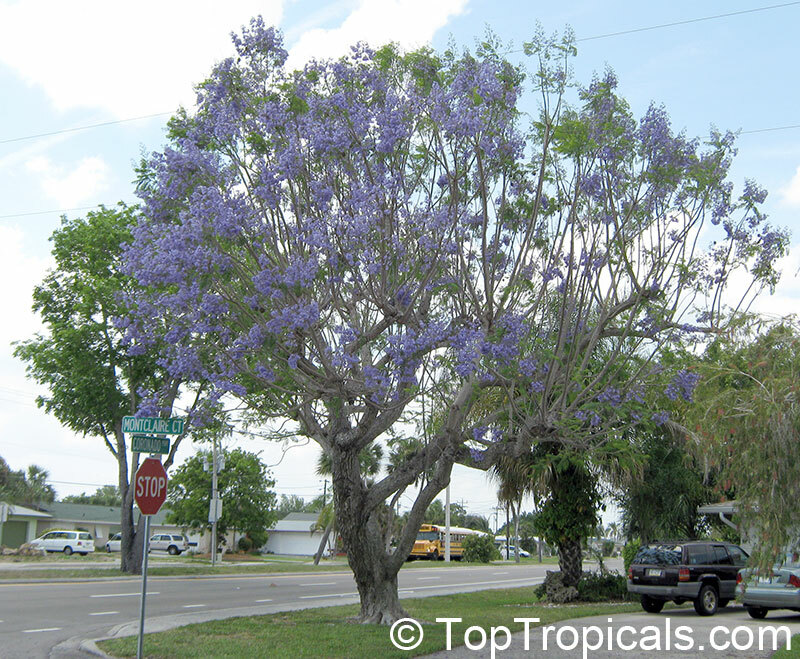 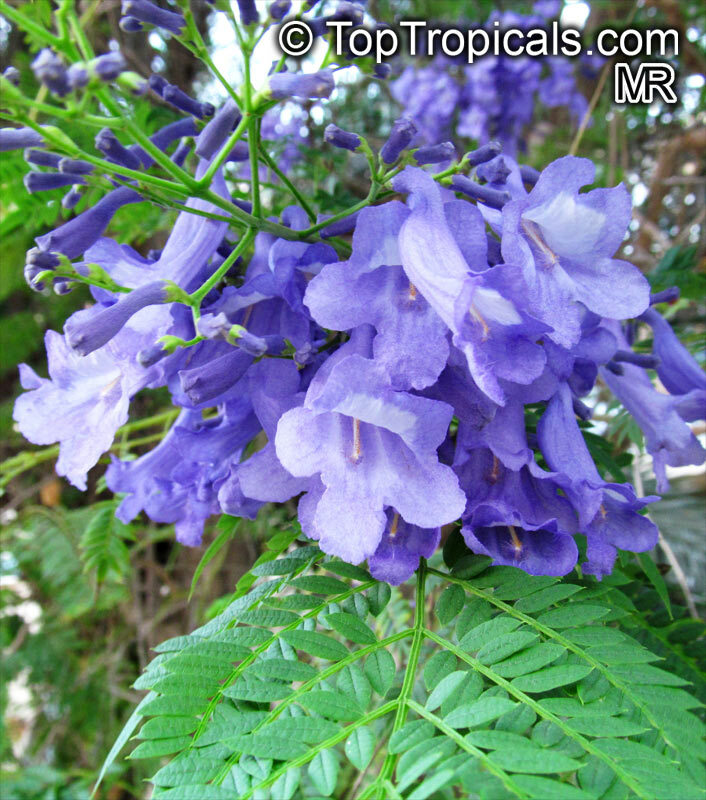 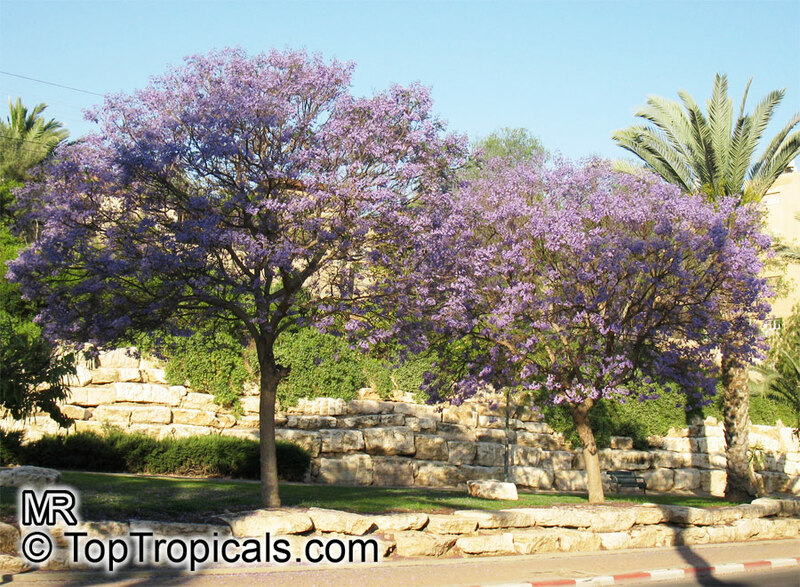 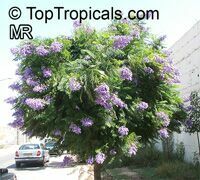 Jacaranda tree - one of the most impressive ornamental trees with beautiful purple flowers. 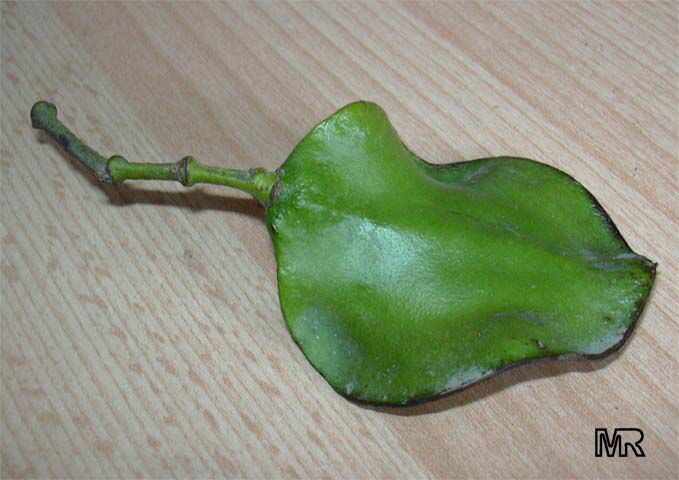 The plant may lose leaves during shipping. 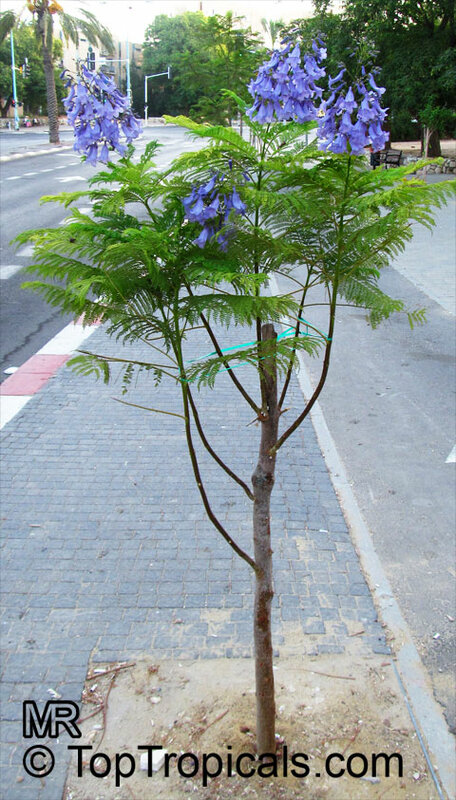 Once received the plant, follow planting instructions and do not over-water.This item is certified for shipping to California.